You see any friendship held by the strands of gossip can never last. That’s just the way it is. If all you discuss with a friend is gossip, you guys are never true friends, the same way you both tear others down is the same way he/she will easily tear you down. What is the definition of gossip, it means to spread rumours or secrets, speak about someone maliciously behind their back or repeat something about someone else that you have no right to repeat. Gossiping is the fastest way to tear someone down, the fastest way to destroy relationships and trust, I’ve seen this happen first hand and I know the damage it can cause. Unfortunately, gossip is now widespread in the body of Christ, and it destroys any church or ministry. Proverbs 20:19, “Gossips can’t keep secrets, so never confide in blabbermouths”. The worst mistake you would make is telling your secrets to a gossip, worst mistake ever. The gist would be remodelled to suit the gossip’s audience, things would be added to make it more flavourable, and moreover, you would lose your respect before people. Proverbs 11:13, “A gadabout gossip can’t be trusted with a secret, but someone of integrity won’t violate a confidence” (MSG Translation). If you’re comfortable when gossip is going on, then I strongly believe you’re not spiritually upright. If you’re a true child of God you’d be uncomfortable with gossiping, your heart would prick you, and moreover, you’ll leave that place of gossiping feeling worse than you came, empty and worthless. If you’re presently “friends” with someone and all you guys discuss is the latest gossips, please break up that friendship now or change topics when next you guys are together, if the “friend” is not ready to stop gossiping, kindly move on from such a one. If you have been the victim of gossip, confront the parties that spread the rumour. 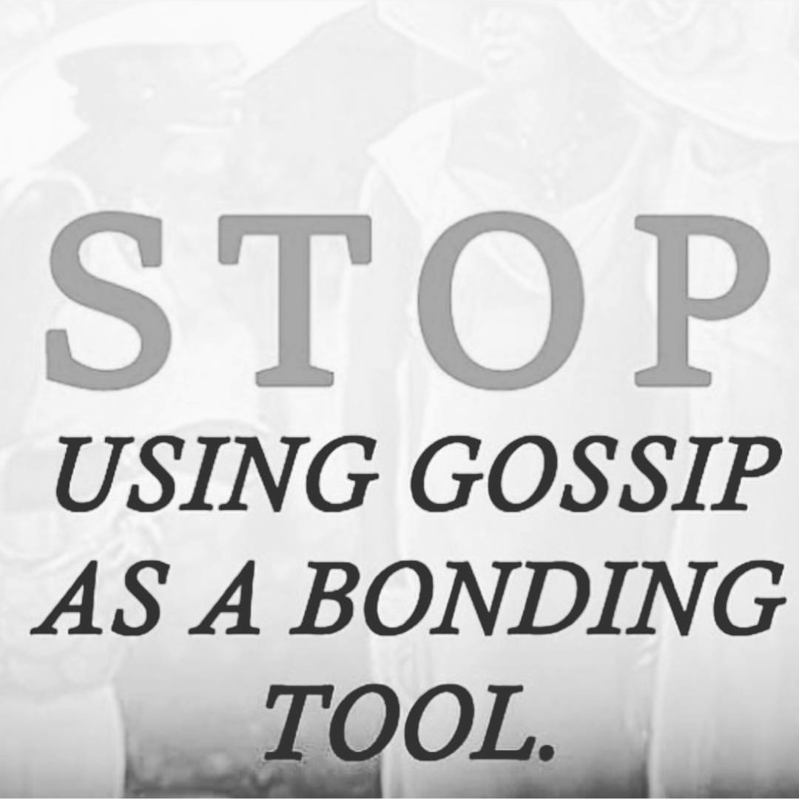 If you have fallen into the bad habit of gossiping, ask God to change your heart (and get busy). May the Lord help us all to live right, (AMEN). Kindly share your thoughts on gossip, I would love to know your opinions. If you’ve ever experienced the effect of gossip, kindly share them and how you were to overcome.